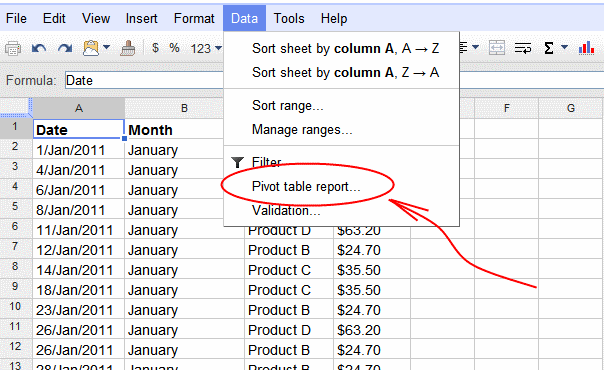 When I was learning how to use Google Data Studio I remember the frustration that resulted from trying to connect a Google Sheets pivot table with a Data Studio chart or table. It never worked because the first column of the pivot table was never pulled into Data Studio. To change the header of a column: On your computer, open a spreadsheet in Google Sheets. Click the pivot table. Click the name of a row or column and enter a new name.